These DJ options can be added to any event. We provide all skills and equipment needed for these options in-house. Karaoke is available! 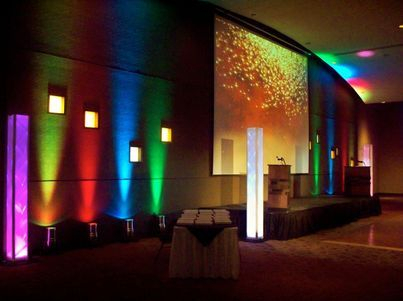 Uplighting brings warmth and attraction to virtually any room. You can choose any colors you like to coincide with your vision. 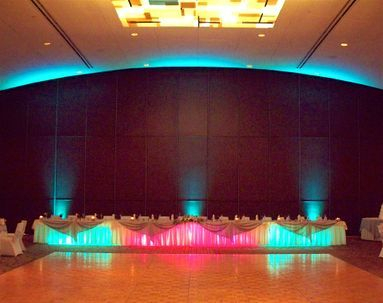 Our uplighting is different from other providers because it is completely wireless meaning that people won't trip over wires, and the fixtures can be placed and controlled from anywhere. We are not limited to areas having AC power. Monograms are incredibly elegant and impressive. Ours can be displayed on floors, walls, and ceilings. I've done customized monograms for major companies, wedding clients, reunions, and birthdays. I also offer Albuquerque wedding ceremony music and miking. You can pick any songs you'd like played, and the miking system is of the highest quality. My ceremony system allows for live sound if you'd like for someone to sing on a microphone, play keyboards, or play guitar during your ceremony. Why not capture the beautiful moments of your ceremony via professional video and sound? We use 3 high definition camcorders along with separate audio recorders to capture the wedding ceremony. The wedding ceremony footage is edited and rendered using state-of-the-art video editing tools. The footage is then mailed over as a digital file, and as a DVD so it can be played in nearly any setting. 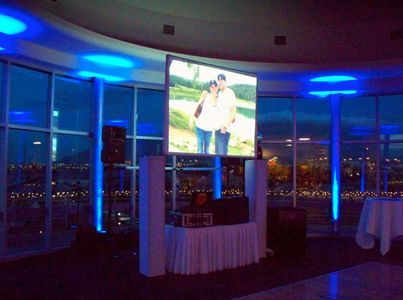 We offer a full range of video projection systems in Albuquerque NM. 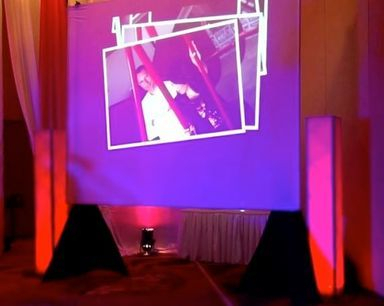 We've done everything from multiple screen concert video projection to small screen room presentation. Video has a huge impact, whether it is meant to tell the story of how a couple found each other, or to display a company's business perspective and goals for the future. See the two black colored tripod stands with speakers on the far left and right sides of the picture? Those are wireless surround sound speakers. They offer additional sound coverage for the entire event space so that everyone can hear the music or announcements clearly. Surround sound is ideal for huge company events, or weddings of over 200 people. Photo booths have become very popular, and are a great way to retain those memories of the event. 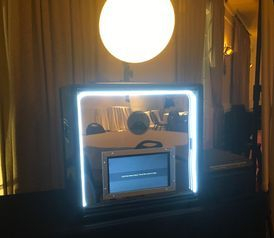 I offer fully automated neon mirror photo booth. Some features include email capabilities, costume props, 2x6 inch photo strip printing, and video capture. A professional DSLR camera is used in order to achieve high quality images, and video. Now introducing customized event back drops. These back drops are rock solid, and can be developed to suit your vision. They are an excellent addition to your beautiful wedding setting. These are not some PVC pipe contraption you would be worried about falling during the evening. Now introducing a complete line of white dance floors. 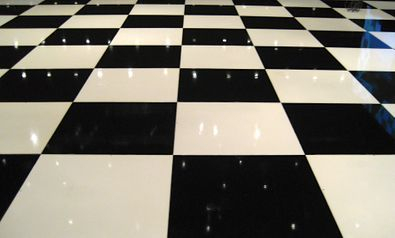 These dance floors are classy and elegant. 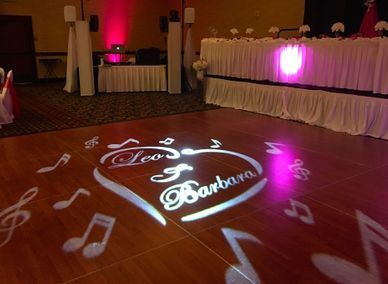 Many venues don't have access to dance floors, and this is a great option for that. Prices range depending on size.